State democrats want you to sleep tight. Legislation that would require landlords to inform prospective tenants of bedbug infestations passed in the Senate early Thursday afternoon and in the Assembly a few hours later. Under the bill, prospective tenants can request a history [of bedbug infestations] or, if they realize a history wasn’t proactively provided to them by the landlord, the Division of Housing will come in and basically force the landlord… to publicly provide that information, Democratic Majority Deputy Press Secretary Travis Proulx told NBCNewYork. 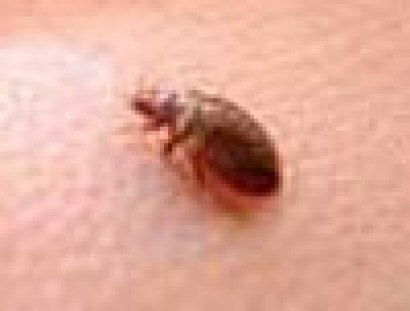 The bill will amend city administrative codes to require landlords to give prospective tenants a notice… that sends forth the property’s bedbug infestation history for the previous year, according to the Open Legislation website. Don’t let the bed bugs bite.Another bill passed by the State Senate will disallow unsanitized used and new bedding to be transported, stored or sold alongside each other in order to prevent cross-contamination. Bedbugs live a long time, said Proulx. And not just in your beds; despite their name, these irritating insects can also nest in furniture and molding. Some unethical landlords are trying to pull a fast one on their tenants… it may be a couple of months [but] by the time you realize it, you literally have thousands of bedbugs in your unit, said Proulx. Bedbug complaints have increased 50 fold nation-wide over the last five years, according to the National Pest Management Association. Tenants have the right to know if the apartment or house they are renting was previously occupied by bedbugs, said Senator Jose Peralta in the press release.